Water is essential for everyday living. It is one ingredient whose quality cannot be compromised. And for most moms like me, Wilkins is the brand of water that they choose, drink, and, above all, trust. Also closely linked with water, as a vital and renewable resource, is a healthy regard for the preservation and protection of the ecology. In line with the thrust of The Coca-Cola Company to reduce the carbon footprint of all its products, Wilkins Distilled and Wilkins Pure are now bottled in even more environmentally-friendly PET bottles. The new PET bottles help reduce environmental impact – it lessens petroleum use during manufacturing and transportation, and may be recycled into new clothing material, plastic lumber, or even new bottles. 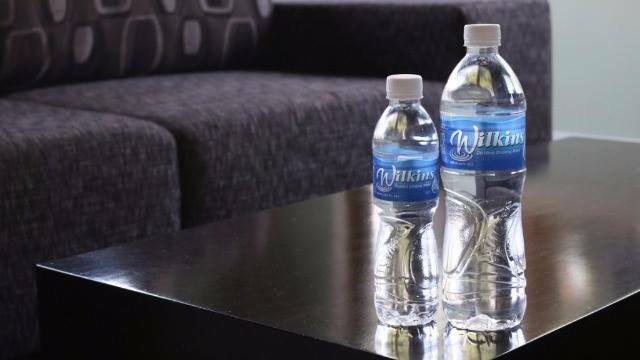 The lighter PET bottles of Wilkins Distilled and Wilkins Pure, which use 24 percent less plastic than previous, are also approved by the US Food and Drug Administration (USFDA) and the Philippines Food and Drug Administration (FDA) for food application. Behind every bottle of Wilkins is a story of the Company’s uncompromising commitment to product quality and safety. Every drop of Wilkins Distilled water goes through an 8-step purification process, making it one of the recommended brands by pediatricians and the number one trusted brand among mothers. Over the past 20 years, Wilkins Distilled has become the top-of-mind brand among mothers and pediatricians as it is goes through the extra step of reverse osmosis. It undergoes state-of-the-art purification and distillation process, and complies with a food and safety management system certified to FSSC22000 standard that is recognized by the Global Food and Safety Initiative (GFSI). This ensures that every bottle of Wilkins Distilled is water in its cleanest and purest form, making it suitable for children. And since the brand stays true to its claim of being untouched by human hands, it has become the undisputed number one trusted brand in the Philippines, particularly among those who refuse to compromise the health and safety of their families. Catering to the active and on-the-go lifestyle of young adults, Wilkins Pure is purified drinking water which brings the uncompromised daily hydration and balance that active bodies need. Wilkins Pure is manufactured using the same food and safety management system as Wilkins Distilled that is globally recognized as well by GFSI. In line with the company’s Replenish program, the new environmentally-friendly PET bottle is a demonstration of the thrust of Coca-Cola to provide a more efficient and more innovative way of ensuring environmental sustainability while providing the same amount of water back to nature. Follow the official facebook page of Wilkins Distilled or visit http://www.coca-colacompany.com/water to learn more about the Water Stewardship and Replenish program of The Coca-Cola Company.